High speed rail is becoming more popular and expanding into many countries. And this brings new challenges such the one related to crossing deserts: extremely adverse geological and weather conditions and a train route covering kilometers of dunes and strong winds. However, the biggest challenge is the sand covering the tracks, due continuous advance of the dunes, sandstorms and sand in suspension. 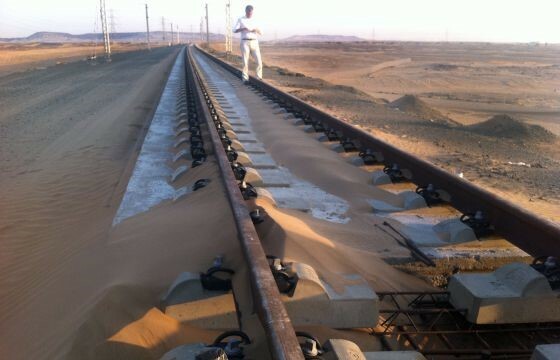 More specifically, 80 km of railway tracks end up buried under the sand every day in the Medina – La Meca high speed train. Increased inspections, maintenance and cleaning of the railways, and thus, their respectively costs. 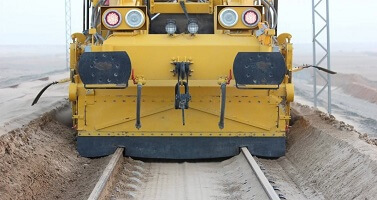 The power system for the electric train tracks is called ballast. When sand gets into the ballast, it can make weight distribution uneven and can prevent rain´s drainage. Contamination of the ballast (loss of mechanical properties, deterioration of sleepers, rail…). Several measures have been taken to try to prevent, reduce or clean the sand (belts of vegetation, slap sections on raised embankments, wall and ditch solutions, superficial treatments, protection barriers…) but none of them have solved the problem…. So… could you help us solve this challenge? The client is looking for new solutions to minimize sand covering in tracks and/or new ways of cleaning it up. The solutions can come from other sectors or be completely new and patentable. Help us and win up to 10.000 € in prizes plus and 33% of intellectual property! This is the ultimate challenge for creative and talented engineers from all over the world! Are you a creative engineer? Could you help us to find new solutions to avoid, reduce or clean the sand?